As we approach the fall boating season, it’s time to look at some of the important parts of your boat trailer, such as springs, hubs, bearings, tires, all the stuff we normally neglect. Wheels: If they have any play as you attempt to shake them, then the bearings probably need attention, a bearing repack and rear seal change should be done at least once a year. Springs: Look for heavy or encrusted rust and separation. If you see these symptoms, you may want them checked by a reliable trailer shop, broken springs can cause serious problems and ruin your entire outing. Winch Strap: This is another important item to look at. Check it for dry rot, check the stitching where the hook is attached, and if there’s a question, replace it. They’re not expensive. If you are stopped and you accelerate quickly and the strap parts, your boat could slide off the trailer. Winch straps are not expensive, but boats are! Be sure you have a safety chain or cable as a second means of support. Brakes: If you trailer has brakes, they need to be inspected periodically as well. Check the brake pads to insure they are intact and that the backing plate is not rusted. Contrary to popular belief, brakes on a boat trailer can last for several years if they are maintained properly. Lights: Some people think lights are only required for night use. Not so. You need to have working lights in every trailer stop, with turn signals being the most important. In most cases on boat trailers, if you have a light out, it could be as simple as a bad ground. Checking them before you leave home could save you the price of a citation, or worse, an accident. 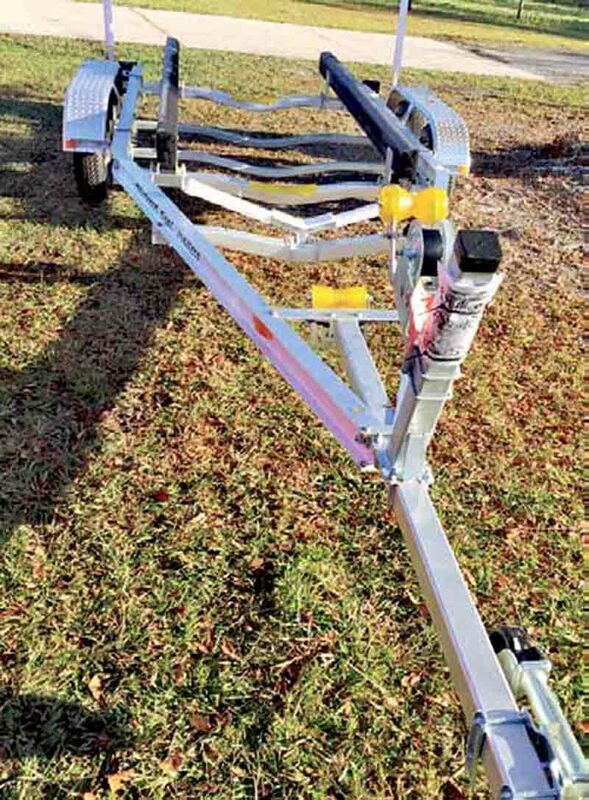 As boaters, we all tend to take very good care of our boats, but we usually neglect our trailers, and let’s face it, as trailer boaters, what’s the most important part of your rig? At C&H Trailer we offer a free inspection on any trailer, we don’t try to sell you anything, just give you our opinion of the condition of your trailer then YOU decide how far you want to go. if at all. Happy trailering hope to see you on the water. C&H Trailer Parts and Service is located at 3160 S.E. Gran Park Way, Stuart, Fl. Contact them at (772) 223-4014.